An inlay restoration is a custom made filling made of composite material, gold, or tooth-colored porcelain. Porcelain inlays are popular because they resemble your natural tooth. 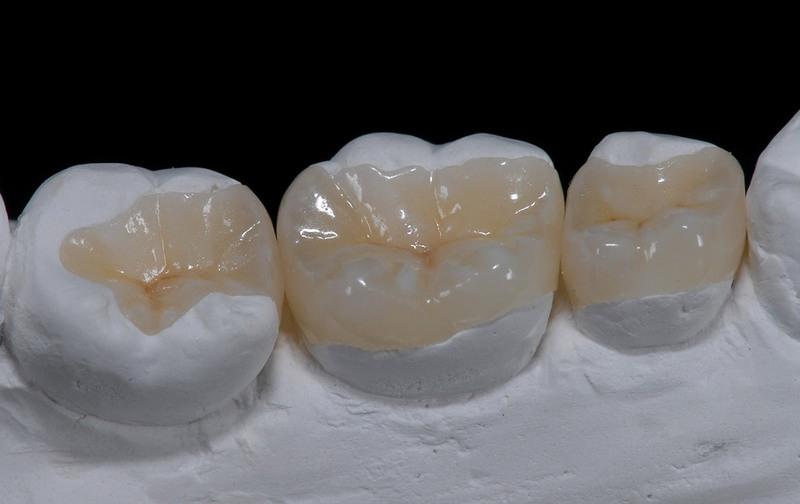 A porcelain inlay is made by a dental laboratory and is permanently cemented into the tooth by Dr. Stewart. At your second appointment Dr. Stewart will carefully and precisely place your new inlay into place. A few adjustments may be necessary to ensure a proper fit and that your bite is comfortable. You will receive care instruction at the conclusion of your treatment. Good oral hygiene practices, a proper diet, and regular dental visits to the office of Dr. Stewart will aid in the life of your new inlay. If you have further questions about Inlays, please contact our experienced Bakersfield cosmetic dentistry team today to schedule a free consultation with Dr. Stewart.